The Muslim community and those perceived to be Muslim are enduring vitriolic, frightening levels of anti-Muslim hate and violence throughout the country- -being spit on, shoved, verbally harassed and abused, physically assaulted, shot, and more. This hate and violence do not exist in a vacuum. They take place in the context of ongoing and systemic Islamophobia and racism that are pervasive and deep within our society. 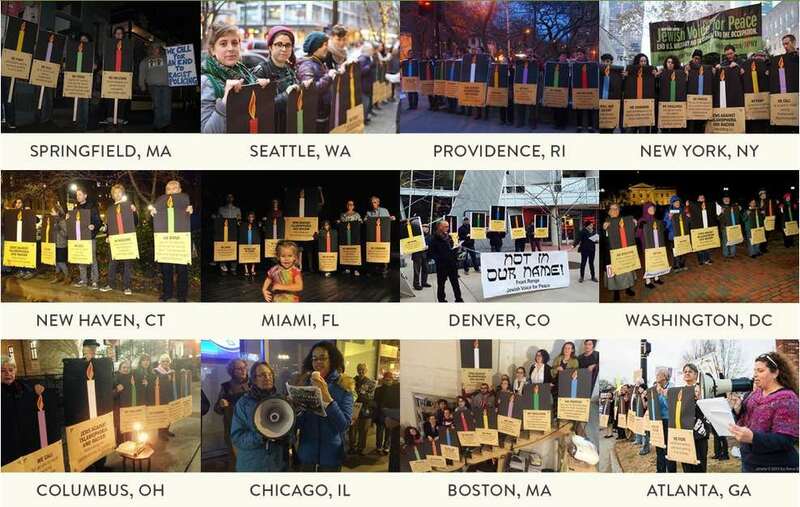 Each night of Chanukah, JVP members and supporters in different cities gathered publicly with signs that contained an injustice we recommit ourselves to challenging. When held together, the signs were in the shape of a Chanukah menorah. 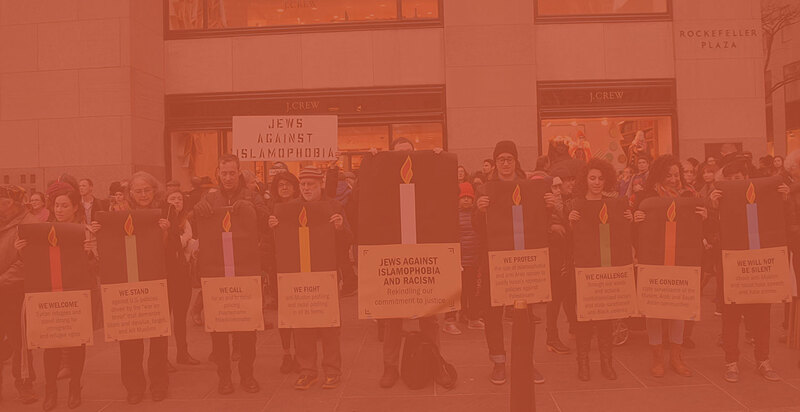 These actions were initiated by Jews Against Islamophobia in NYC (a coalition of Jews Say No! and Jewish Voice for Peace–NYC) and the Network Against Islamophobia, a national project of Jewish Voice for Peace. 1st Night of Chanukah Marked by Challenging Islamophobia in U.S.